Most construction projects are faced with claims and therefore may require a good construction mediation expert to assist them to come to an agreement. Here are some tips on how to find a good quality mediator, who will help all parties reach an amicable settlement. An expert, or an expert mediator – Although some parties look at hiring a mediator who is an expert in the subject matter, it can be beneficial to hire a highly developed mediator instead. A skilled mediator can learn enough from the pre-mediation statements and be able to converse on the subject matter. If your mediator needs further knowledge, they can always request assistance from a specific expert, like a steel fabrication expert, to understand the case further. But an expert with little mediation skills, will not be able to provide either party with the guidance needed to reach a settlement. The real picture – Instead of asking the mediator for references, ask potential candidates to give the names of the counsel who participated in the mediator’s last five medications. These references will highlight any negative experiences with the mediator and give you an idea of the length of time between cases. A trainee or a trainer – It is a wise move to hire a mediator who trains others on mediation skills. 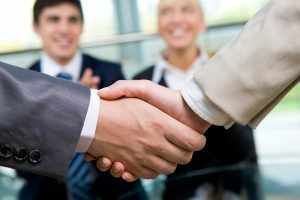 A mediation trainer will have to deal with the challenges of teaching and therefore is aware, up to date and clearly understands the techniques necessary for mediation. Lyle Charles offers their services as a construction consultant for commercial construction projects across the United States.